Engineered for medium size energy storage systems with grid support features to all applications. The integration of large-scale energy storage systems in electric power grids is becoming further relevant. This type of solution can be advantageously used in different segments, from renewables grid integration, hybrid systems stabilization to distribution/transmission grid ancillary services. 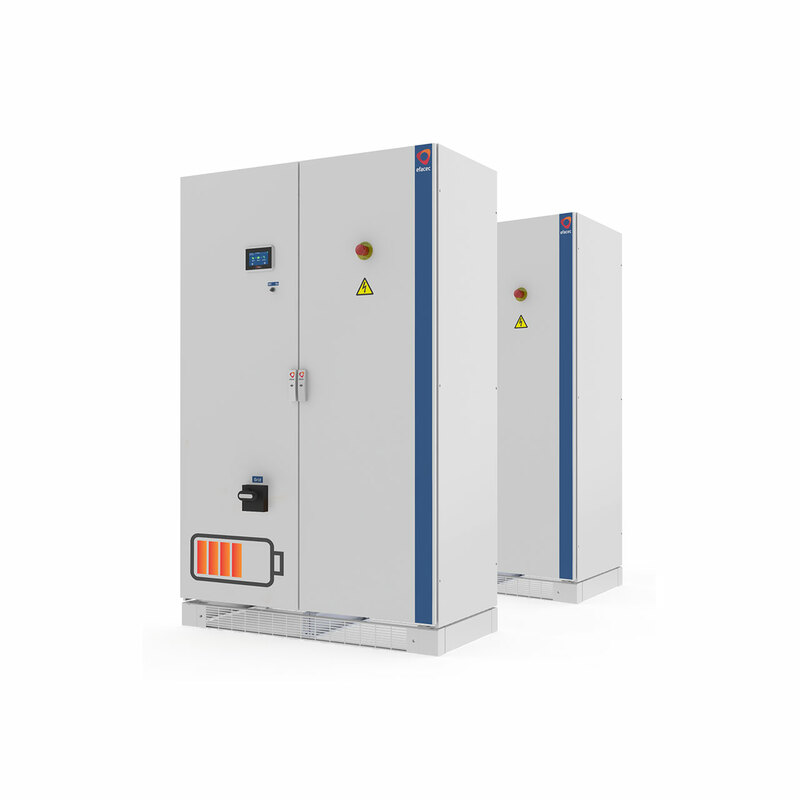 The Efacec Storage Converter Station is a fully integrated solution for grid connected power conversion from battery energy storage systems, creating an entirely optimized station for storage applications, allowing highly flexible and performant solutions.